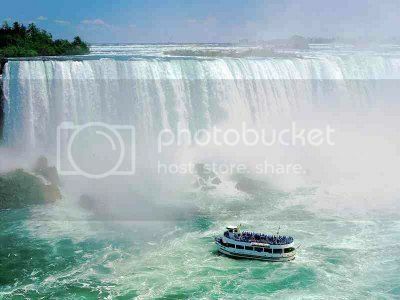 The Niagara Falls is without a doubt, one of the greatest natural wonders of the world and one of the most visited tourist attractions in North America. Since both Canada and the United States claim the beautiful Niagara Falls, most people always wonder whether the Canadian or American side offers the best views. Seeing the Niagara Falls at close range is simply one of the most awesome experiences ever! You can see the Falls on a helicopter and at various points on the ground. 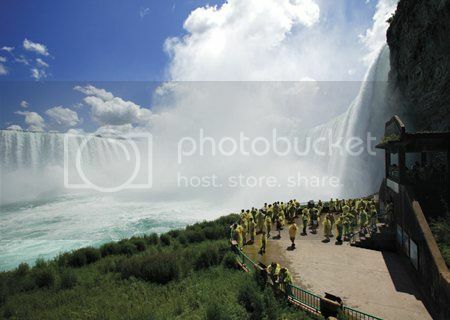 However, the best and most inexpensive way to get close to the waters of the Niagara Falls is on the Cave of the Winds tour, which costs around $10. The Cave of the Winds tour departs from Goat Island and consists on a guided tour on foot to the top of the legendary Hurricane Deck viewing platform. From Hurricane Deck you get to stand less than 19 feet away from the fast-moving streams of the falls. Priceless! One of the most amazing things to do on the American side of Niagara Falls is experiencing the raw power of the Niagara River. 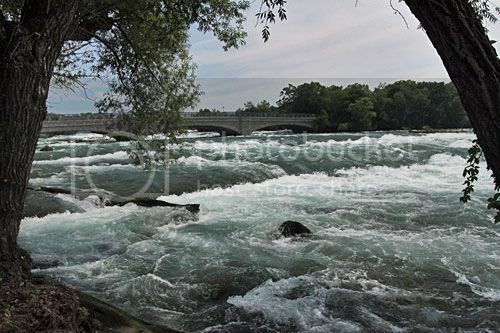 The best place to feel the roar of the Niagara River is on Goat Island, which you can easily cross over on foot from Made of the Mist Marketplace. As soon as you cross to Goat Island, just head to the promontories located between Bridal Veil Falls and American Falls and stand at the edge. You’ll feel the almost deafening roaring of the river and the ground shake beneath your feet. 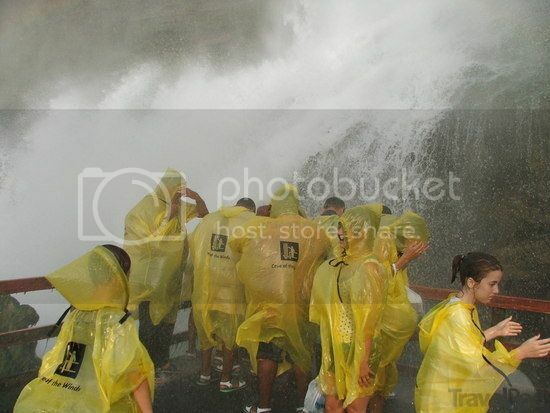 The Maid of the Mist boat tour is without question one of the most unbelievable group tour experiences you can do on both the Canadian and the US side of Niagara Falls. If you only have a short time to see the falls, the Made of the Mist tour is definitely the one to do before leaving Niagara Falls. The Made of the Mist boat tour costs around $15, though the tour lasts about four and a half hours and allows you to get real close to the American falls. Admission to the Made of the Mist also includes access to the observation deck which offers magnificent views of the falls. Climbing the Crow's Nest Staircase in Prospect Point (Niagara Falls SP) is, by far, one of the cheapest things to do on the American side of Niagara Falls. The climb is super cheap (just a couple of bucks), yet it can offer one of the most surreal experiences in the Niagara Falls. 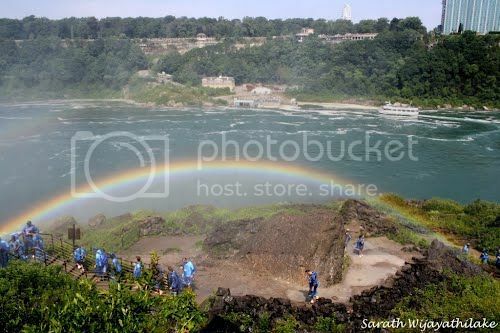 On a nice sunny day, the mist of the falls creates a beautiful spectacle of arching and ring-like rainbows, which you climb over as you're ascending. No trip to Niagara Falls would be quite complete without seeing the spectacular firework shows at Niagara Reservation State Park (the oldest state park in US). 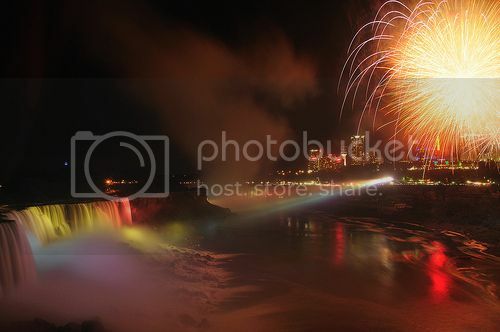 The Niagara Falls firework displays happen every Friday night at around 10pm during the summer tourist season (May thru September), as well as on Public holidays like Memorial and Independence days. By the way, the fireworks aren’t the only thing going at night. The actual Niagara Falls also get beautifully lit at dusk in the colors of the rainbow every night all thru the year. The wineries are another reason to visit Niagara Falls and going wine tasting is definitely a must while in the area. The Canadian side of the Niagara Falls is traditionally more popular for winery tours because of the amount of wineries, but that doesn’t mean you can’t sample some great wine on the American side of the Falls. 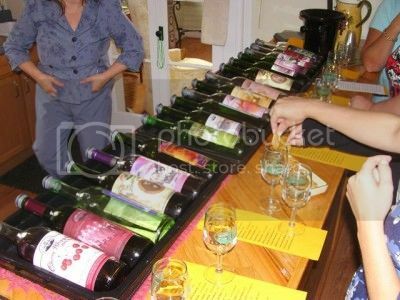 There are over dozen or so of wineries within New York’s Niagara Escarpment and many of the best wineries are located nearby Lockport NY (along the Niagara Wine Trail). Some of these include Honeymoon Trail Winery, Niagara Landing Wine Cellars, Eveningside Vineyards, Freedom Run Winery and Arrowhead Spring Vineyards. If you’re looking for more things to do on the American side of Niagara Falls within a short distance, you should definitely add a visit to the Niagara Hydro-Electric Dam to your itinerary. The Niagara Dam is just 8 minutes drive from Niagara Falls and it’s a true feat of engineering that is certainly in par with Nevada and Arizona’s Hoover Dam. 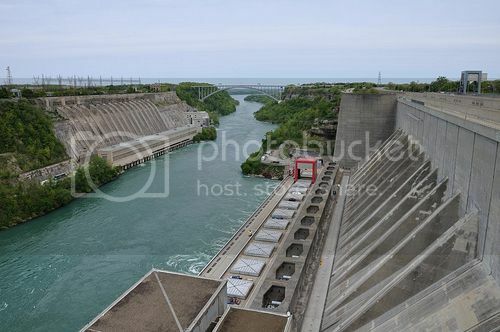 If you’ve never seen a power plant up-close before you’ll truly be taken by the Niagara Dam imposing sight. While there, be sure to also visit “Power Vista”, which is the dam’s visitor center (Niagara Power Project). This place has many cool exhibits and hands on activities for both young and old. Whether you have 1 day or 3 days to spend in Niagara Falls, one thing you won’t to miss doing in Niagara Falls is taking a walk along the Great Gorge Railway Trail. 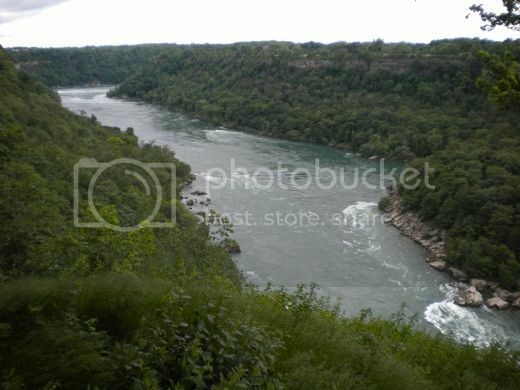 This trail features many overlooks offering awesome views of the gorge and the Niagara Falls and takes less than 3 miles round trip to complete. Besides the getting nice views of the falls, the other highlight of the Great Gorge Railway Trail is being able to hike down into the actual gorge! By the way, the Great Gorge Railway Trail starts at the Niagara Gorge Discovery Center, which is the best place to learn about the natural history of Niagara Falls.